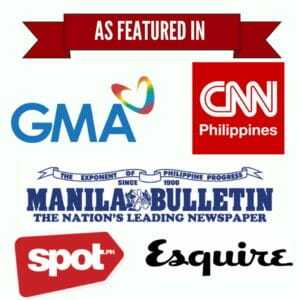 Civil wedding in the Philippines (kasal sa huwes) may not give you that royal wedding vibe, but it ticks all the boxes when it comes to convenience and cost-effectiveness. Not that a civil wedding should be plain, boring, and second-rate. With great planning and creativity, you can turn your civil wedding into a great experience that you’ll treasure for years. Why you should have a civil wedding in the Philippines. 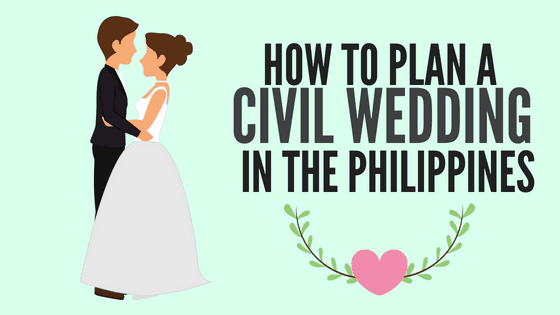 How to plan a civil wedding in the Philippines: A step-by-step guide. 1. Pick a wedding date. 3. Complete the civil wedding requirements. Steps in getting a marriage license. 4. Choose where the civil ceremony will take place. 5. Determine who will officiate at your wedding. 6. 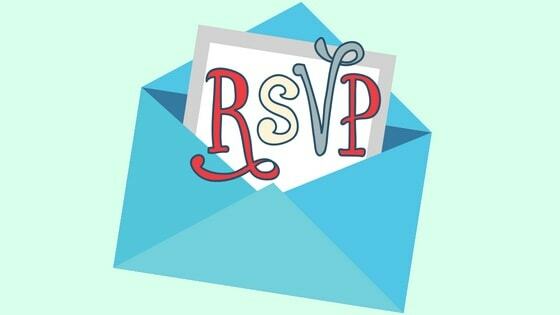 Send out invitations to your guests and witnesses. 7. Plan your wedding reception. 8. Write your wedding vows. 9. Shop for wedding rings. 10. Choose your wedding attire. 11. Hire a wedding photographer. 12. Enjoy the civil wedding program. a. Civil wedding grants you the legal rights and privileges of marriage. b. A civil wedding doesn’t require religious affiliation. Therefore, “non-believers”–including atheists and agnostics–won’t feel the need to participate in ceremonies they’re not comfortable with or forced to change their beliefs on paper just to get the church wedding done. c. A civil wedding is a simpler way to tie the knot, especially for mixed marriages or if either one of you is based abroad. Catholic churches require additional requirements for mixed marriages wherein one party belongs to a different religion. If you live or work overseas, a church wedding in the Philippines also means possibly flying to the country three times just to get a license and attend the precana counseling and interview. d. Planning a civil wedding involves fewer expenses, pressure, and stress so you can focus on what’s truly important. As they always say, some folks spend too much on the wedding and not enough on the marriage. Civil wedding reminds you that the true essence of marriage is working on the marriage itself. Everything else is secondary. As a result, you get to enjoy this special day with your partner without worrying about trivial stuff like flowers, dress for the bridesmaids and whatnot. No wonder civil wedding is popular in the Philippines, with a record 41.6% of marriages contracted through civil rites in 2016.
e. Since a civil wedding is a lot cheaper, you can set aside money for your honeymoon or other memorable experiences that matter to you. f. If your wife is already visibly pregnant at the time of the wedding, a civil marriage can save you from the embarrassment and judgmental glances of your holier-than-thou relatives. g. A civil wedding can be your preparation for a more lavish church wedding. Some couples get married through civil rites while they’re still saving up for their dream fairytale wedding. Others, like doctors Hayden Kho and Vicki Belo, get into a civil marriage to save them from the paperwork and other logistical concerns prior to a church wedding abroad. h. A civil wedding can happen as soon as you’re issued a marriage license. 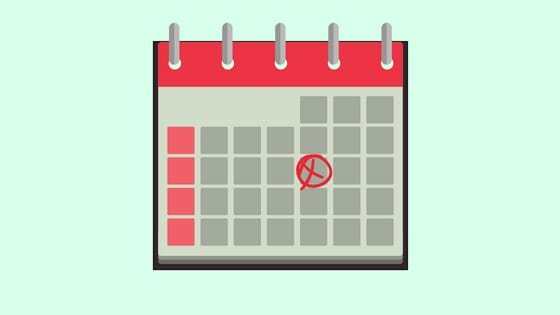 In contrast, it takes longer to prepare for a church wedding since the pre-cana seminar, canonical interview, and marriage banns require at least a month before the wedding date to be completed. i. In case you’ll be filing for annulment in the future, civil marriages are cheaper and faster to dissolve than church marriages. The possibility of annulment should be the last of your concerns. But in case things don’t work out, remember that civil annulment typically costs Php 150,000 and can be completed within a year if done in courts specializing in annulment cases. On the other hand, church annulment, which is required only if you’re planning to get married in the church again, may require up to 3 years of hearings, consultations, and seminars before it takes effect. j. Lastly, an expensive church wedding doesn’t guarantee a successful marriage. It doesn’t matter where you get married because the vows and your promises to each other are the same. Any marriage, whether it’s formalized through civil rites or a fancy church wedding, can last if it’s built on genuine love, trust, and commitment to each other. Of course, civil weddings also come with a few disadvantages. For instance, a civil wedding held at a simple venue like the city hall doesn’t exude the same magical fairytale effect that most women dream as a little child. As long as this minor inconvenience is the least in your priorities, or if you promise to give your wife that unforgettable church wedding in the near future, then nothing can stop you from having a civil wedding in the Philippines. Civil marriage is supposed to be cheaper than a church wedding. However, sticking to a budget doesn’t mean you have to make the wedding look cheap and tacky. To ensure you’ll get an unforgettable civil wedding in the Philippines without breaking the bank, follow the steps laid out in this guide. It’s crucial for both parties to agree on a wedding date before the preparation starts. While it’s possible in some cases to have a rush wedding in two weeks, it doesn’t take into consideration several unforeseen circumstances that might happen along the way. For this reason, couples are advised to have at least a one-month preparation period before the wedding day. a. The CENOMAR and birth certificates, two vital requirements for the marriage license, are usually issued 1-6 days (walk-in) or up to 9 days (online) after application. b. The marriage license is issued 10 days after submitting the requirements and attending the pre-wedding seminar. You must already have the license on the day of your wedding or the union will not push through. c. If the wedding will happen on a weekday, inform your guests and the wedding entourage ahead of time so they can file their work leaves (if applicable). d. For civil weddings scheduled on weekends, check the availability of the venue and the person officiating the ceremony. Municipal halls are usually closed during weekends. Court vacations may happen without prior notice. The mayor or judge, on the other hand, may need a little bit of cajoling to convince him/her to officiate the wedding during weekends. e. The month you choose for your wedding may influence your total wedding expenses. Apparently, the cost of wedding venues increases every June and December, during which most people assume a lot of weddings take place. Data from PSA refute this though, revealing that the months of April, February, and May are the preferred wedding months of Filipinos. Determine early on who will cover the expenses. In the Philippines, the groom usually shoulders the bulk of the civil wedding cost with the help of his family. This tradition may be interpreted as a form of machismo, especially by outsiders who are used to having the bride’s family paying for the wedding expenses. Civil wedding cost in the Philippines is relatively cheap. In fact, you can do it with a budget as low as Php 12,000. This money is just enough to cover the essentials like the pastor who will officiate the wedding (Php 3,500+) and the wedding reception at an ordinary restaurant with food good enough to feed a maximum of 25 people (Php 8,000). Take note that in the above example, both the wedding ceremony and the reception are held at the same place to save on rental fees. The table below shows another example of a civil wedding budget below Php 40,000 which covers all wedding essentials like cake, souvenirs, dress, and wedding reception package good for 50 guests. Miscellaneous items like photobooth and audio-visual presentation are either provided by volunteers or scrapped altogether. The wedding budget above doesn’t apply to all civil weddings by any stretch of the imagination. 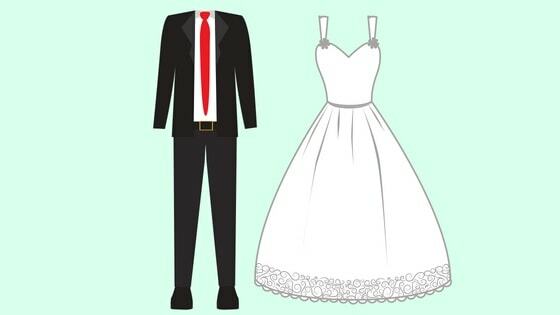 For one, the couple skimped on what others consider important, like the wedding dress. You can possibly find a dress that cheap but don’t expect anything jaw-dropping. The cost of the judge also varies in each city or municipality. Plan the wedding with your partner to set your priorities right and determine which areas you want to splurge on and which ones to skimp on. The wedding reception will take a huge portion of your budget. To save money, have the wedding ceremony and the reception at the same venue. Only invite a few close friends and relatives. Civil weddings are supposed to be intimate, which is the reason why it’s cheaper in the first place. A judge can officiate your wedding for less than Php 5,000 while a pastor/minister usually charges Php 8,000 or more for the same service. However, if you want to get married on a weekend, the municipal hall may not be available, in which case you have to bring the judge to the venue at an additional cost. 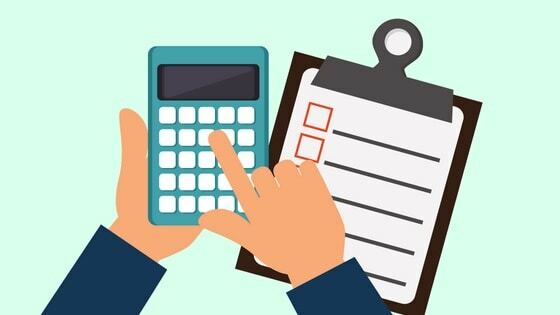 To make your budget planning easier, you can use an online wedding budget calculator or download a free wedding budget worksheet for Excel. These nifty tools work for both civil and church weddings. Couples won’t be allowed to be married anywhere in the Philippines without a marriage license. This legal document can be secured from the local civil registrar of the city or town where either one of the marrying parties habitually resides. As mentioned in Step 1, it’s recommended that you apply for a marriage license a month before the wedding day. This is because it takes 10 days or almost 2 weeks for the marriage license to be processed and released. Since no delivery service is available for now, either one of you should personally pick up the marriage license from the local civil registrar. a. Personal appearance of both marrying parties. b. Marrying parties must be at least 18 years old. Minors below 18 years old aren’t allowed by Philippine law to get married and therefore will not be issued a marriage license. If the applicant is 18-21 years old, notarized parental consent of father, mother, surviving parent, or guardian (in the order of mention) is required. For applicants 22-25 years old, notarized parental advice of the father, mother, surviving parent, or guardian (in the order of mention) must be presented. 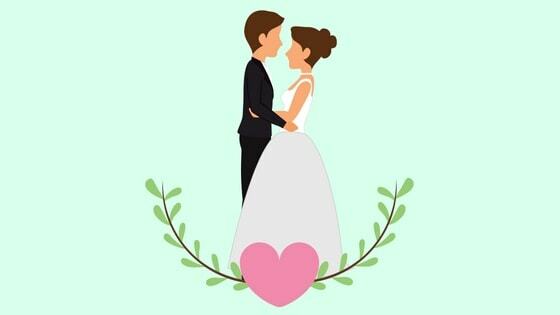 The parental advice must contain a written account of the parent/guardian where they acknowledge the impending marriage and share other advice they wish to give. c. The latest certified true copy of you and your partner’s birth certificates issued by the Philippine Statistics Authority or PSA (formerly NSO). Birth certificates only cost Php 140 per copy if you personally apply at the nearest Census Serbilis Center. The birth certificate is issued on the same day of application. Alternatively, you can also call the PSA hotline at (02) 737-1111 or apply online via PSA Helpline and have your birth certificate/s delivered to your mailing address within 2 to 7 days. Birth certificates ordered online cost Php 365 per copy, inclusive of taxes and delivery fees. d. The latest copy of Certificate of No Marriage (CENOMAR) issued by PSA. The CENOMAR will prove that neither one of you had been married before. You can order both the birth certificate and the CENOMAR using the same procedures. For walk-in applications at Census Serbilis Center, expect to pay Php 195 per copy. If you order the CENOMAR online via PSA, a single copy costs Php 430. Since both the birth certificate and the CENOMAR take days to be delivered, make sure to order them online at least a week before you apply for the marriage license. e. Valid government-issued IDs (original and photocopy) of both marrying parties. The valid ID must prove that either one of you is a resident of the city, town, or municipality where you’ll be filing the application for marriage license. Examples of valid government-issued IDs include Philippine passport, SSS ID, Voter’s ID, Driver’s License, etc. f. Two pieces of ID picture with white background (size may vary depending on your local civil registrar). Most LCRs no longer require this but it’s better to be prepared just in case. g. Barangay Certificate of Residency and/or Community tax certificate (CEDULA). You can get a CEDULA at the same city/municipal hall where you’ll file your marriage license application. h. Accomplished marriage license application form. The form will be provided at the local civil registrar. i. Certificate of attendance in a marriage counseling, family planning, and responsible parenthood seminar (if applicable). Depending on your local civil registrar, you may be required to attend a pre-marriage seminar. In most cases, only marriage license applicants who are 24 years old and below are required to attend this. The seminar is usually half a day long and conducted within the vicinity of the local civil registrar/city civil registry department. The contents are basic and are focused primarily on the well-being and preparedness of marrying couples. For U.S. citizens: Affidavit in Lieu of a Certificate of Legal Capacity to Marry which can be secured from the US Embassy in Manila by appointment only. 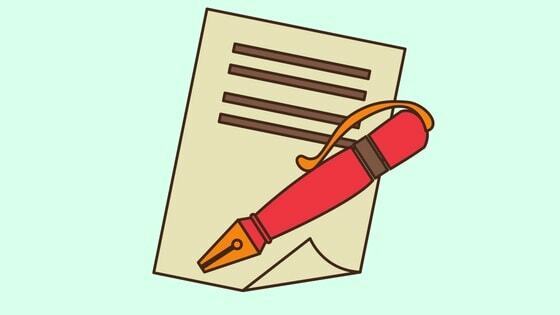 If you’re based in Cebu, the US Consular Agency in Lahug, Cebu City offers notarial services on a walk-in, first-come/first-served basis every day from 8:30 A.M. to 10:30 A.M. For more information about the fees and procedure, please read this guide. For other foreigners: Certificate of Legal Capacity to Marry/Sworn Declaration from their country’s Embassy or Consular Office in the Philippines with authentication certification from DFA. Photocopy of the immigration entry stamp in the foreigner’s passport. The photocopied page should show the date of your arrival in the Philippines for the marriage license application. If divorced or annulled, bring the divorce or annulment papers authenticated by DFA. a. Together with your would-be spouse, go to your local civil registrar (LCR)/city civil registry department and fill out the marriage license application form. b. Submit all the requirements and wait for your application to be verified. c. Proceed to the Cashier or Treasury Department and pay the application, filing, and marriage license fees. Take note that higher fees will be charged from applicants with foreign fiances/fiancees. d. Attend the required marriage counseling and family planning seminar (if applicable) or interview. Return after 10 days. e. On the date of release, go back to the local civil registrar to claim the marriage license. Once you have the license, you can use it to get married anywhere in the country within 120 days (4 months) from the date of issue. Civil weddings in the Philippines are usually held at the Mayor’s office or courtrooms inside the municipal hall/city hall. After issuing the marriage license, the local civil registrar may assign you to someone–either your city mayor or judge–who will officiate the wedding. 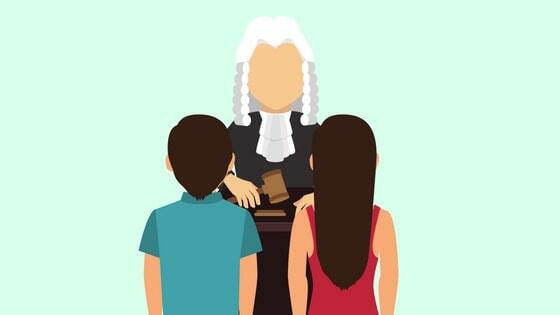 Check if the mayor/judge is available on your preferred wedding date. If not, you will be asked to move the schedule. Or, you can find a pastor or minister to officiate the wedding on your chosen date, provided that you’re willing to pay a higher fee (see next step). Some couples are lucky enough to have one of the Supreme Court justices to officiate their civil wedding inside the Supreme Court. If you know the Supreme Court justice personally or know someone who works under him/her, you can convince the SC justice to officiate your wedding. In case you want to have the civil wedding happen on a weekend, during which the municipal hall/city hall is usually closed, you can find another venue like a garden, public park, or a nature reserve. The advantage is there will be enough space to accommodate more guests. The downside is the judge may charge more. Fees may vary but judges officiating weddings outside their offices usually charge Php 8,000 (or more), similar to what pastors/ministers charge for their service. Moreover, holding the civil wedding ceremony outside means your guests no longer have to move from one place to another. Both the wedding ceremony and the reception can happen at the same venue, saving you a lot of time and money. a. The mayor of the city or municipality where either one of the marrying parties is a resident (Source: Local Government Code of 1991). Depending on his/her availability, the mayor can officiate individual or mass weddings (also known as “kasalang bayan”) either inside the Mayor’s Office or within its vicinity. b. The judge within his/her court’s jurisdiction (Source: Family Code of the Philippines). If you live in a big city where there are multiple judges, civil weddings are raffled off and assigned to judges once or several times a week. Then, it will depend on the judge’s availability when the civil ceremony will take place and whether or not it can be done outside should you choose a weekend schedule (courtrooms are only open during weekdays). If possible, get married in a small municipality where there’s only one judge, eliminating the need for a raffle. In addition to that, the local civil registrar isn’t dealing with huge backlogs so you may get issued the marriage certificate as early as after the wedding ceremony. However, not all municipalities in the country have courthouses and/or judges, in which case the mayor will be the one authorized to officiate the wedding. To verify if your municipality has an incumbent judge, search the Judiciary Book of the Judicial and Bar Council of the Supreme Court. c. Military commanders, airplane chiefs, or ship captains may also officiate a wedding under rare circumstances like when one of the marrying parties is “in articulo mortis” or at the point of dying. d. Any pastor, minister, priest, imam, or rabbi of any church or religious sect, provided that he is authorized by the church to solemnize marriages and is registered with the civil registrar general. If you want to verify the legitimacy of a solemnizing officer, search for his name on the Solemnizing Officers Information System database of the Philippine Statistics Authority. Although the law states that at least one of the marrying parties must belong to the solemnizing officer’s church or religious sect, some just bypass this requirement and allow either one of the couple to declare the religion only on paper. e. Consuls in Philippine Embassies abroad are also allowed to officiate the civil union between two Filipinos. The best part about having a civil wedding is you don’t have to invite the whole barangay to the reception. By inviting only a few people to your wedding, it makes the special occasion much more intimate, not to mention budget-friendly. At least two witnesses who will be present at the civil ceremony to sign the marriage certificate. At least two pairs of ninong/ninang. Especially if the civil wedding will take place on a weekday, you must send out wedding invitations at least 2 months in advance so your potential guests/witnesses will be able to file for work leaves. To cut wedding costs, search for DIY wedding invitation ideas on YouTube/Pinterest or use one of these printable wedding invitation templates. In any type of wedding, the reception always takes up the bulk of the wedding expenses. Hence, you should pay it extra attention when making your wedding budget (see Step 2). If you’re short on cash, you can avail of the packages offered by restaurants and let them take care of everything for as low as Php 10,000 (assuming that you have limited number of guests). Meanwhile, if you prefer to hold the reception outdoors in a garden or at your own residence, there are catering packages being offered for as low as Php 25,000. Some even allow payment installments. The package already covers the food (good for at least 100 people), servers, and basic wedding decorations. It doesn’t include the cost of transporting your guests from the city/municipal hall to the wedding reception. For this reason, I suggest having the ceremony and reception held in one venue to save time and money. As for the wedding cake, there are customized creations you can order from your local bakeshop or from a close friend/relative who knows how to bake. 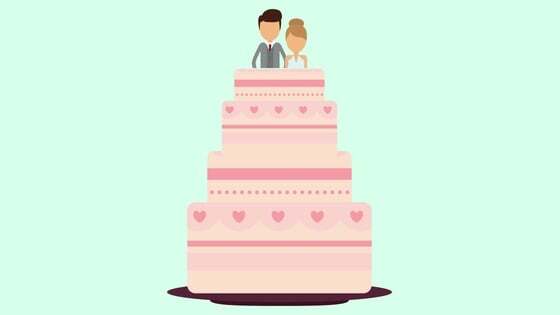 Wedding cakes may cost up to Php 5,000 or more depending on the size and how elaborate the design is. 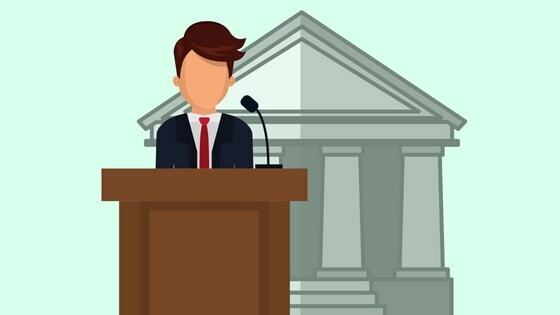 If you want to impress your guests with add-ons like a host/emcee, live band, souvenirs, and sound system, prepare to stretch your wedding budget a little bit. There are cheap wedding souvenirs you can buy in Divisoria. You can also consider budget-friendly yet ingenious gifts to impress your guests like essential oil diffusers or as simple as cupcakes with creative wedding designs. Souvenirs are tokens of appreciation for the special people who have found time in their busy lives to join you on this special occasion. Wedding vows are sacred promises that couples say to each other during the ring ceremony. Before the civil wedding, you will be asked to write your own wedding vows. The officiant may provide you with a template. You can also search for samples online and find inspiration from them. There’s no language requirement. 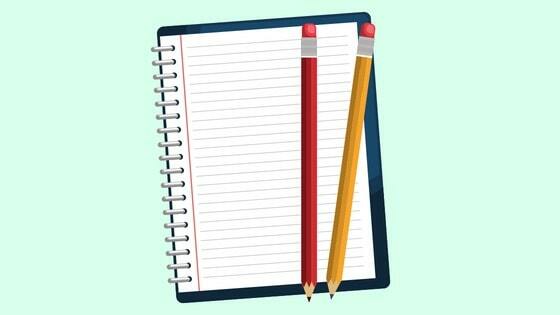 You can write in Tagalog, English, or any language you’re comfortable with. Keep the message short, sweet, and sincere. Writing the wedding vow is your chance to express how invested and committed both of you are in the relationship. The wedding rings symbolize your promise to be with each other through thick and thin. There’s no written rule on how much a wedding ring should be. It all boils down to your budget and preference. While some believe it should be worth at least a month’s salary, other frugal couples are happy to settle with affordable rings sold in malls. Remember, you’re getting married through civil rites. A simple wedding ring without Swarovski crystals will do. You can save the more expensive diamond rings for your dream church wedding (in case you have plans on having one). Before you troop to jewelry stores, ask your parents and grandparents first if they have kept heirloom wedding rings. Pieces of jewelry that have passed on from one generation to the next not only have sentimental value but also allow you to save money for more important aspects of the wedding. You can have a wedding ring with any budget. 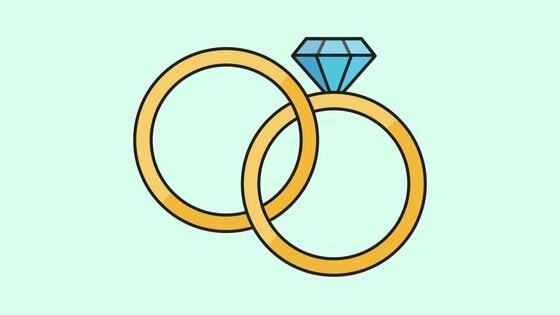 From as low as Php 500 to Php 100,000 and up, there’s a ring available for everyone. The larger the main diamond or the higher the carat of the gold is, the more expensive the wedding ring would be. Do your own research and find inspiration online to have an idea what type of ring you prefer. If possible, buy a wedding ring from a trusted jeweler which allows its buyers to watch the rings they’ve ordered being made. Ongpin Street in Binondo is known for low-cost wedding rings. Some of the stores make rings that may be too old-fashioned for your taste so make sure to shop around. Ongpin wedding rings cost Php 5,000 and higher, depending on the size and design. Jewelers also offer free cleaning plus free guava candies to boot. Unlike in church weddings, you don’t have to dress to impress when having a simple civil marriage. For grooms, polo shirts or your old formal suit should be enough. The bride, meanwhile, can either borrow wedding gown or buy a ready-made civil wedding dress in Divisoria for as low as Php 1,200. Again, you don’t have to wear a wedding dress with elaborate designs. After all, the wedding outfits should be the least of your priorities and can be purchased once the rest of the wedding details have been taken cared of. While most couples include wedding photography to the miscellaneous or optional wedding expenses, it shouldn’t be that way considering how precious the event is. Weddings, whether through civil union or church rites, are an important milestone worth capturing in photographs. In the case of civil weddings, a comprehensive photo and video coverage aren’t necessary. With as little as Php 3,000 to Php 5,000, you can avail of a basic photo coverage where a photographer will be at the wedding venue and reception to capture special moments. The package may include a formal photo of the couple plus 100 to 150 high-resolution photos taken at the event. 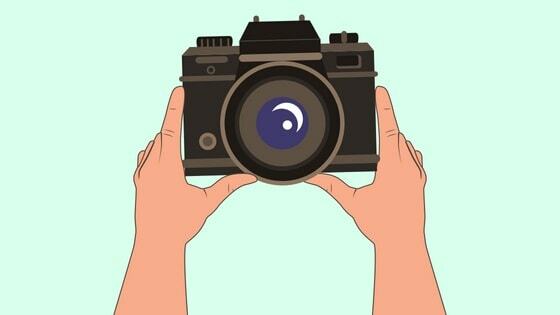 If you want to pay for cheaper services, look for students or budding photographers who want to expand their portfolios. Tap your existing network to get referrals to these affordable photographers. On your special day, avoid stressing over small stuff. Just focus on your partner and treasure every moment. After all, your civil wedding signifies that you’ve finally found the person you’ll spend the rest of your life with. Since this is not a traditional church wedding with hundreds of guests, you don’t need a wedding planner or coordinator to manage every little detail. If you have availed of a complete wedding package, the program coordinator will usually handle everything for you. Otherwise, you can ask for assistance from your close friends and relatives to organize the program while you prepare yourself for the event. Part II: Welcoming of guests by the emcee/host at the wedding reception. Pictorials with the VIP’s: Judge, primary sponsors (if applicable), parents, and family. As bride and groom, let your minds off the program and focus on each other. You’ve prepared well and have been through a lot just to get to this point. A civil wedding is a celebration of love and commitment regardless of religious beliefs, race, or skin color. Savor every moment. Can he bring me right away to Greece? Sabi po dito na RTC judge can officiate wedding only in their courtroom.hindi po ba sila pwede ma request sa venue ng wedding ko.plano ko pong wedding ceremony at reception ko ay iisa. At magkano po ang fees ng judge kng request sila sa venue. Thanks from general santos city. You’re welcome and good luck with your wedding! This is so very informative.thankyou! This is very informative. Pero question lang po. I’m a Catholic but my partner is a Muslim. Wala naman kaming issue with his family re our different religions and we already have a 4-year old son na bininyagan sunod sa faith ko. 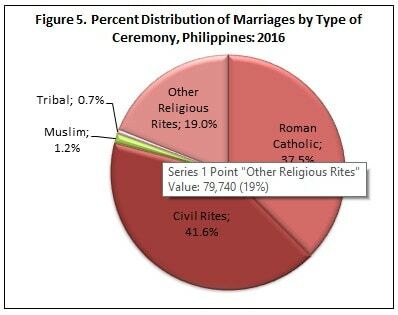 Pwede po kaya sa amin ang civil marriage para maging legal na mag-asawa na hindi na namin need magconvert ng religion? I’ve been reading a lot of articles online pati mga na yung family code to have an idea para po makapagplano. Thank you. Pwedeng pwede po. Actually, mas ideal nga ang civil wedding sa mixed marriages (i.e. the couple belongs to two different religions) because it doesn’t ask for additional requirements, unlike church wedding. What documents do I need if I wish to be wed outside of church? What do you mean by ‘outside the church’? This article is about civil wedding. Thank you so much! this is very informative and helpful! I just have a question/clarification though..
may restriction ba kung san pwede mag solemnize ang isang judge? for example, the venue is in Tagaytay, and both of us are residents of Pasig. Pero yung judge na gusto namin mag officiate is from QC? will it be okay? Kung pastor or minister ok lang. But if it’s a judge, I’m not sure. Ang alam ko kasi it should be within the judge’s jurisdiction. But better ask the judge or the place where you’ll get the marriage license to be sure. Hello, I’m in a similar situation as Shakira. Does this mean that the officiating Judge should be from Tagaytay (given that it’s the couple’s chosen venue)? Question po, Medyo naguluhan lang po ako dito.. So dapat mayor ng pasig magkasal samin kasi we’re both from Pasig, kahit po sa Tagaytay ang venue? Hindi po ba yun pwede Mayor dun sa Tagaytay? Thank you for this complete info package, Very helpful & useful! Hi. We are still in the process of getting the marriage license. I was wondering if we could book the judge in advance since we already have a specific day for the wedding? Or do we really have to have the license first then we book the judge? I think that’s possible, as long as you tell the judge that the license is on its way. The article was indeed useful as it contains relevant details. This is very informative and useful, thank you so much. We can’t seem to find a judge to conduct our wedding in April in Batangas. Do you know how I could find one, please? There’s a chance we could get married in two weeks.